You will Watch One Piece Episode 467 English Dubbed online for free episodes with HQ / high quality. Stream anime One Piece Season 14 Episode 9 Even If It Means Death! Luffy vs. the Navy; The Battle Starts! Luffy charges forward to save Ace, fighting off the marines in the way. Admiral Kizaru attacks him with a beam of light, but Ivankov saves him, only to get attacked by Kuma, whom he claims to know. Luffy encounters Jango and Fullbody; Jango accidentally hypnotizes himself and Fullbody, and Luffy barely escapes from Hina using Gear Second. Elsewhere, the Whitebeard Pirates are having difficulty getting past the Vice-Admirals, and Squard attempts to sneak past, only to encounter someone. Moria attacks with a group of zombies, halting Luffy’s progress, while Marine reinforcements come in. Ace yells that Luffy must not try to save him, saying that he cannot bear to be saved by a weakling, while actually not wanting Luffy to die. However, Luffy tells him he does not care, and will save Ace even if he dies. 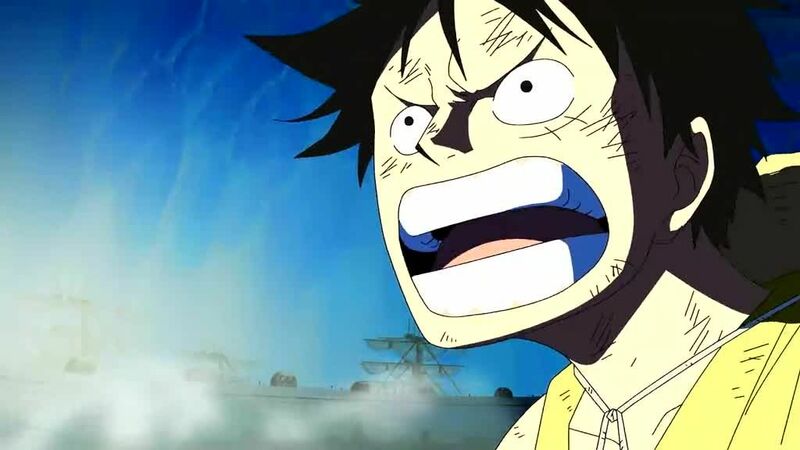 As Jimbei arrives, defeating Moria’s zombies with a blast of salt water, and Luffy defeats a giant officer with Gear Third, Sengoku reveals to the Marines that Luffy is the son of Dragon. 5 / 5 - 66 ratings.